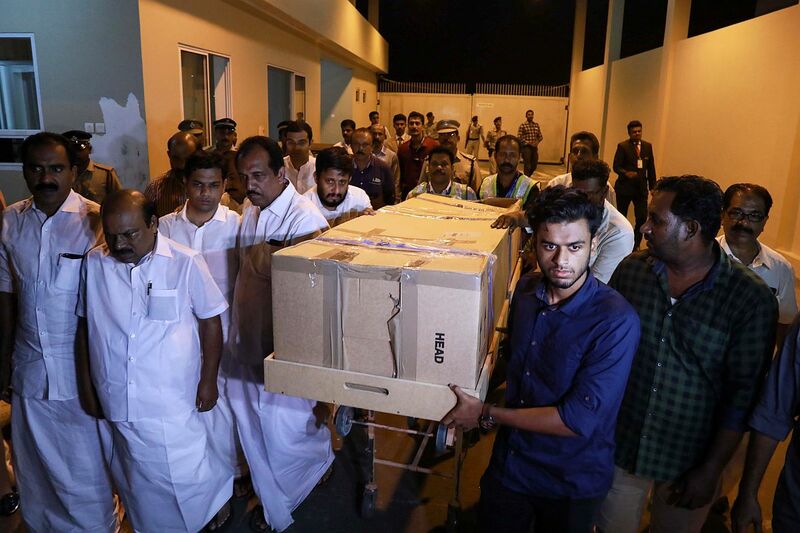 The body of Ansi Alibava, who was killed during the New Zealand mosque attacks, is carried upon arrival at Cochin International Airport in Kochi on March 25, 2019. Her body was returned at an airport in Kochi early on Monday, an AFP photographer present said. She took thousands of dollars in loans to fund her studies in business agriculture at Christchurch’s Lincoln University. Alibava’s cousin, PH Niyas, told AFP the dedicated student was soon to finish her studies. “She had gone there last year, the course was due to finish by April. There was to be a six-month training (course) after which she was to return home by December,” said Niyas. On March 15, they went to the Al Noor Mosque and sat separately in the men and women’s sections. Father and son Asif Vora and Rameez Vora hailed from Gujarat, in western India, and were visiting family in New Zealand when they were killed. “They decided to perform the last rites there itself,” a community leader, Zuber Goplani, told AFP. The body of another victim also from Gujarat, Maheboob Khokhar, was expected to be returned to India this week, his family said.